Getting back into action after an injury or surgery can be painful and hard work. Having someone to guide you through the right steps is a big factor in reaching the optimal function following a setback. Often success comes down to identifying the exercise for your current level and having someone show you the next step. Our physiotherapists will be with you every step of the way to help you make the most out of your recovery. 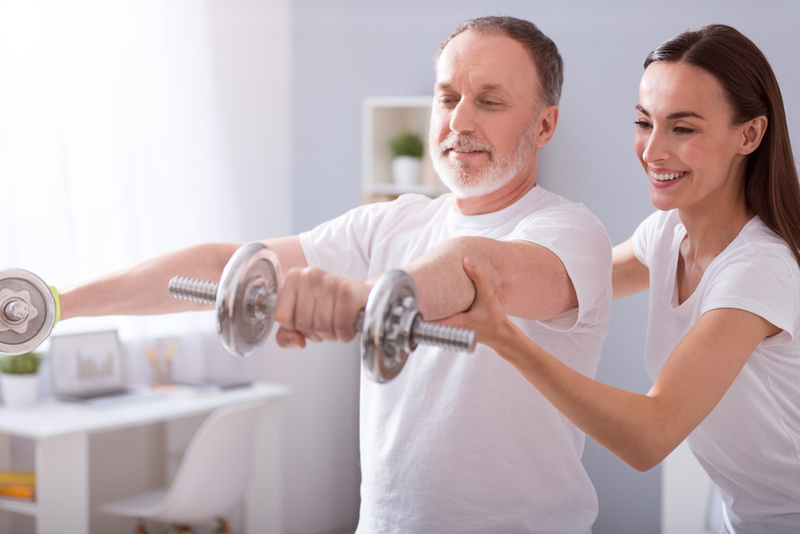 Getting into the gym can be a great step to get the most out of your rehabilitating and our physiotherapists can be there with you to create an exercise program for you and show you how to get the most of out of the gym environment. We are also available for hydrotherapy, as exercise in the water can have an analgesic effect, the water providing pain relief through movements. It can also be easier to move in the water with the buoyancy of the water helping to assist with movements against gravity and providing support for joints. Our physiotherapists at Addlife Physiotherapy are skilled in developing an exercise based rehabilitation program that will suit your individual circumstances and function. We can conduct a thorough assessment and determine if you are a suitable candidate for the gym or the pool. What are the exercise program benefits? Call us now on 0405 333 921 or click here to book online. Speak to our physiotherapists for more information or to answer any questions that you might have. None of this information is a replacement for proper medical advice. Always see a medical professional for advice on your individual injury.